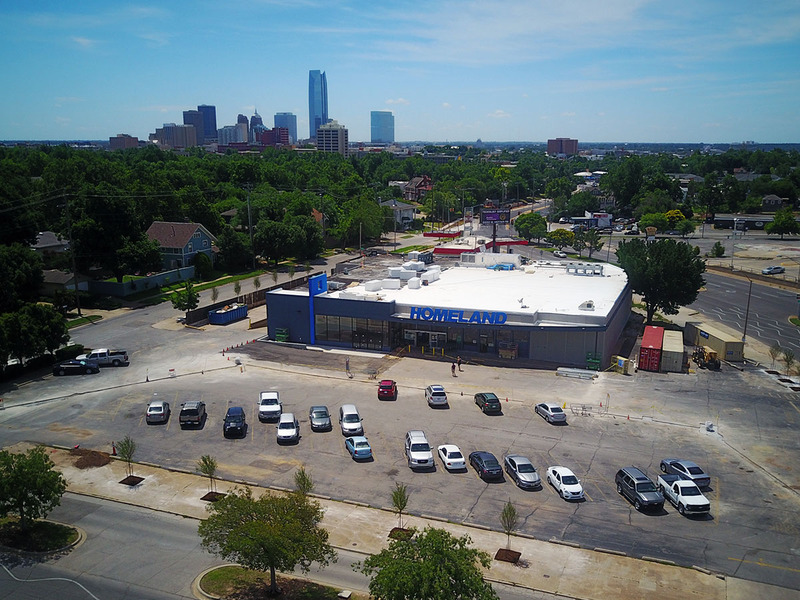 Last year, the company announced plans to completely renovate the building both inside and out after collecting feedback from residents in the surrounding neighborhoods. 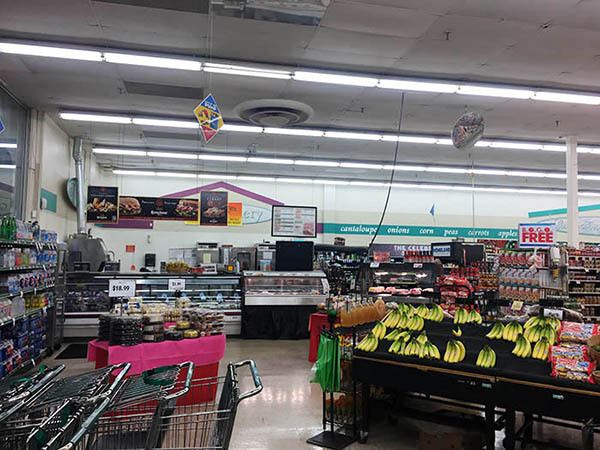 The changes couldn't come fast enough for the store's patrons, as the aging facility had not seen much work in several decades. Before starting, even the large exterior sign was in disrepair. 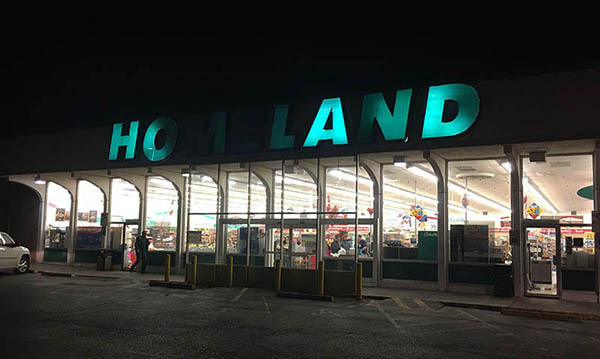 Now, as work continues to a complete makeover, the new improved Homeland is starting to take shape. 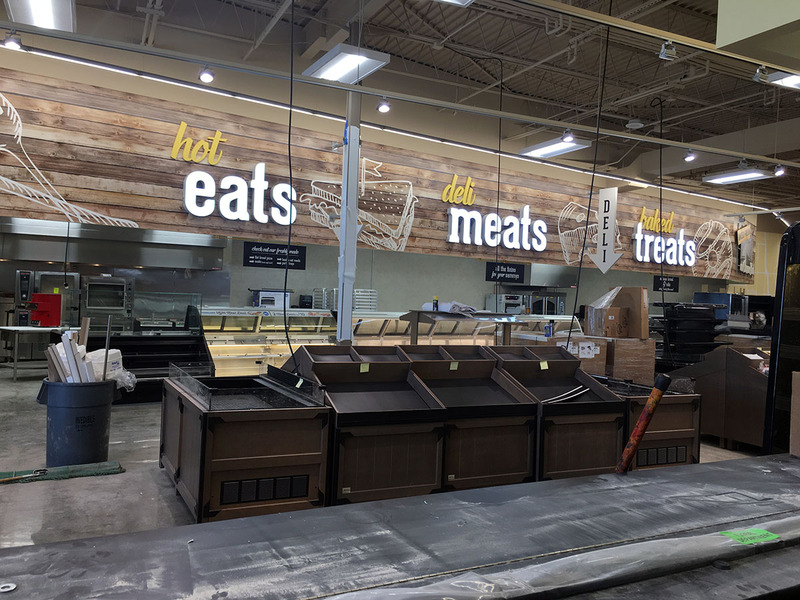 A recent visit shows the eastern 1/3rd of the store is almost complete. 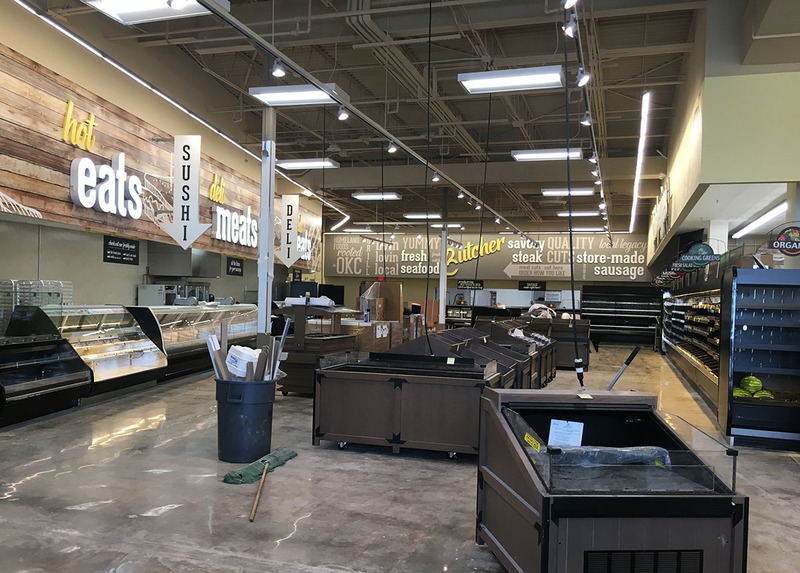 This area has been closed off for months and completely rebuilt with a new deli, bakery, butcher and producer area. 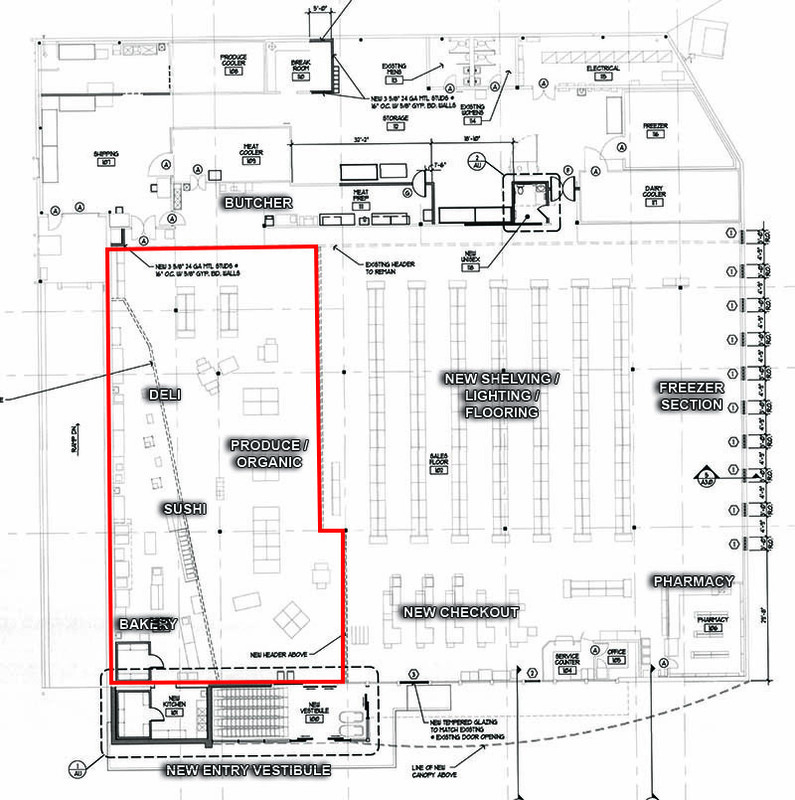 It will be the entry point of the remodeled store as customers will soon entry from a brand new vestibule. 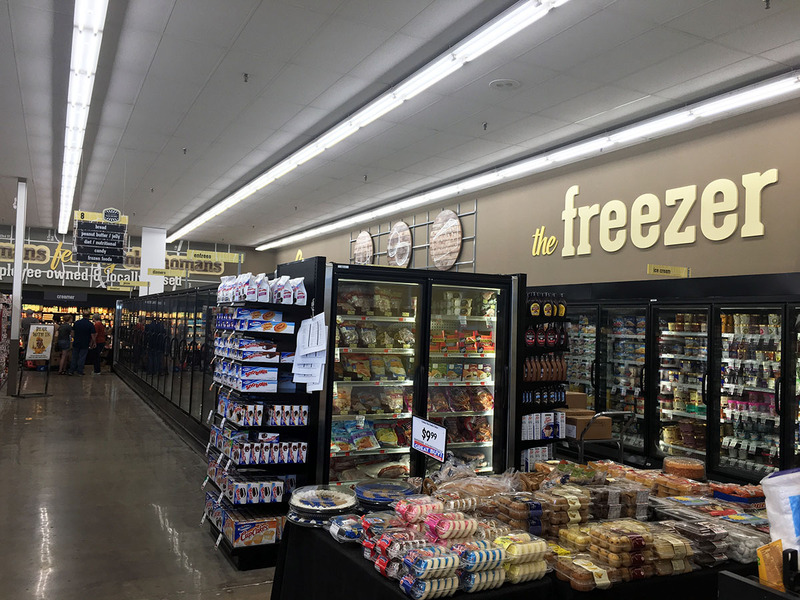 The rest of the store has already seen upgrades in the form of new signage, shelving, freezer cases and flooring. Outside, there is an entirely new north facade as well as new signage and new trees were recently planted all around. The building has been painted and less noticeable but equally important, a new room and HVAC system has been installed. 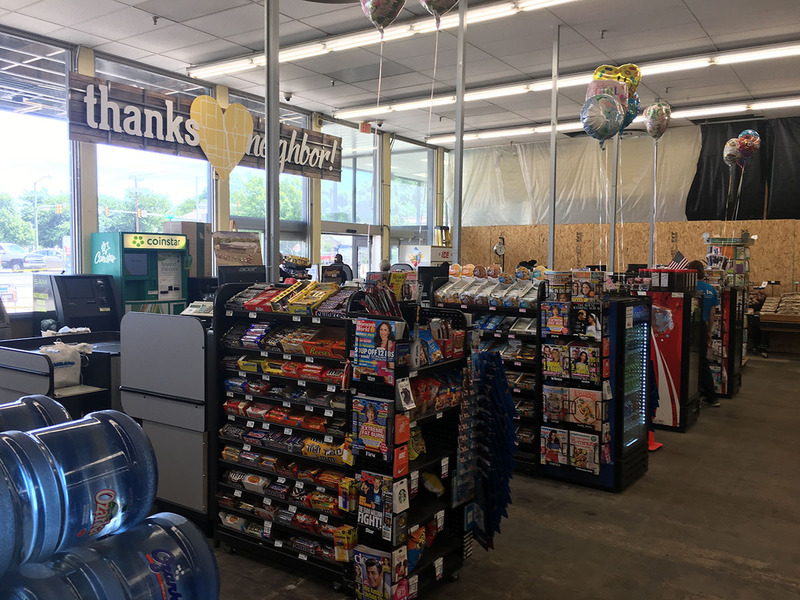 There is still plenty of work to be done in the pharmacy and customer service area as well as the checkout area in front of the store and the parking lot. 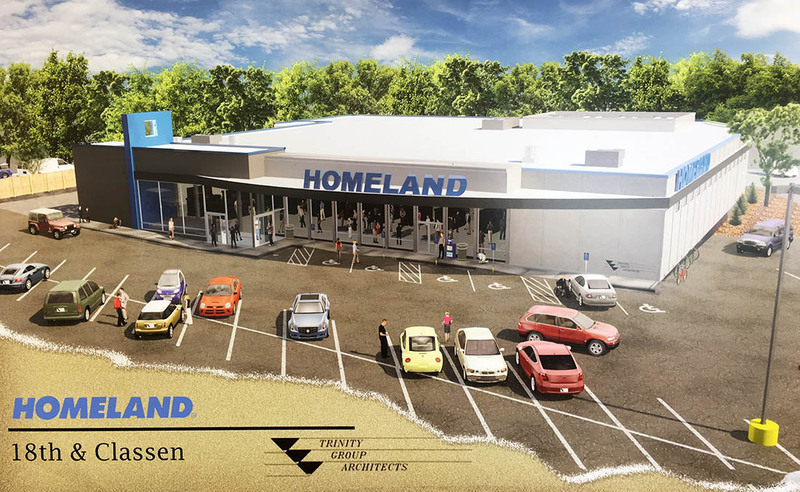 Homeland hopes to be completely finished in time for their Grand Reopening scheduled for July 11th.